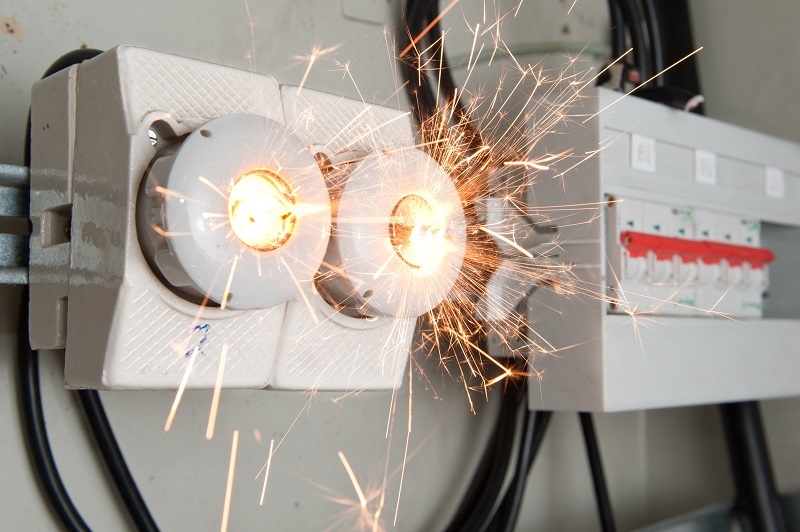 If you’ve ever had an electrical shock you’ll appreciate the importance of contacting a qualified electrician in Sydney, or wherever you live. A mild shock can send you flying across the room; a large one can kill. In fact, 55 people died from electrical shocks between 2014 and 2016. An overloaded circuit can give you an electrical shock or start a fire; neither option is desirable which is why you need professional help. Every circuit is designed to carry a certain number of volts and watts. The circuits are usually wired in parallel which means that any socket can be used, whether the others are in use or not. This is an effective and efficient way of having power in hand when you need it. However, it can lead to a power overload. For example, if your circuit is rated to handle 5,000 watts but you have a kettle at 3,000 and a cooker at 4,000 watts you can’t have both of them on at the same time; the circuit will be drawing 7,000 watts. You can, of course, use them one at a time. If your circuits have breakers then the breaker will be rated for 5,000 watts and will trip, cutting the power to your appliances, when they are both turned on. However, if you have the old fashioned fuses which use wire, they won’t trip. Instead, they will allow the electricity to flow through, the current will be too much for the electrical wires, and they will get hot. After a period of time, the plastic casing on the wiring will melt. You’ll smell electrical burning. The issue then will be whether the fuse wire melts and cuts the power, or whether a fire is started by the heat and melting plastic. While this is occurring you may receive an electrical shock. It is worth noting that if the wiring is only capable of handling 5,000 watts but the breaker is rated at 15,000 watts it won’t trip and fire is still a likely outcome. The earth wire is designed to send electricity into the ground, instead of into you. It should be connected to every outlet and to the mains supply or independent earth. In theory, this will stop you from getting a shock. However, overrated breakers and melting wires mean it is still possible to get a shock. The first thing you need to do is check your breakers so that you know how much current each circuit can handle. You should also get your electrician to verify the cables are capable of carrying this current. You can then check what items are plugged into a specific circuit and make sure that their total demand is less than the rating of the circuit. It is also a good idea to visually inspect all your sockets and switches, discoloration suggests an overheating problem which could be down to an overloaded circuit and should be investigated.